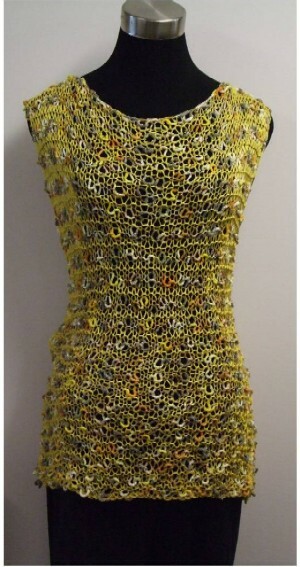 This is a one size garment that suits all body types. Email us to see what colours are currently available, we are happy to make up a kit in the colours of your choice, price may vary depending on the yarn combinations. We only make a small quantity in each colour so that each kit is unique. 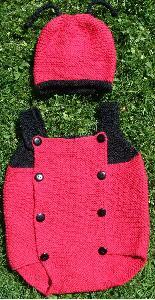 This is the chids version of our very popular top down cardy kit, we had so many requests for a child version, so here it is. 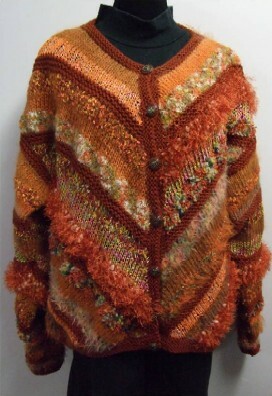 This cardy is knitted from the top down, so no sewing together, just a couple of ends to weave in & you are finished. It is really easy to adjust the size for this as you can try it on at every step of the way. 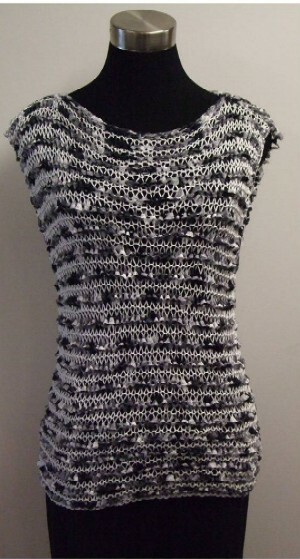 This is a top down knitted garment, so no sewing together, just a couple of ends to weave in. 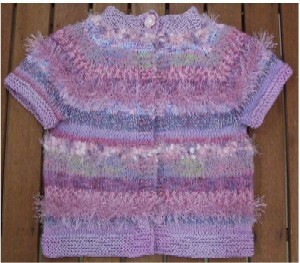 Fast knitting on 10.00mm needles. Fits a 3 - 9 month old baby, very stretchy. Email us for the colours that are currently available. 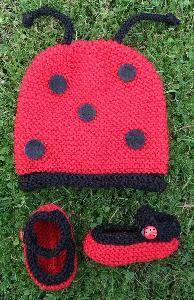 This version in soft cotton yarn, kit includes ladybug buttons & "dots"
Check out the latest range of learn to crochet kits for beginners and children 6yrs+. 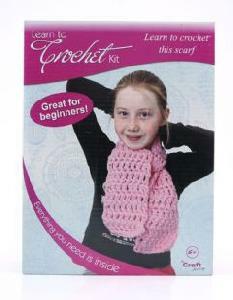 This is one of our latest kit and it is proving very popular. Some of the colour ways that we have made up are shown in the photo, but we are happy to make up other colours to suit. 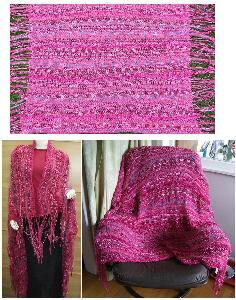 The kit fits to a very generous medium size, additional yarns may be purchased if needing a large or extra large. 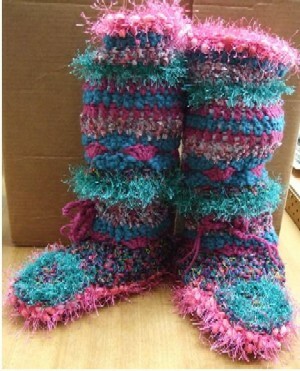 Just add a crochet hook & you can make your own fun & funky freeform slipper boots. Easy kit knitted in garter stitch, kit includes ladybug buttons & "dots"
This is a one size garment that flatters all figure types. Slim people look great with it belted, I prefer to wear mine with a pin. 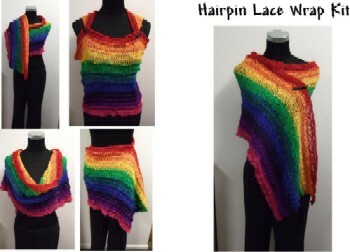 This option uses 2 yarns alternating throughout. A solid & a hand dyed multi. 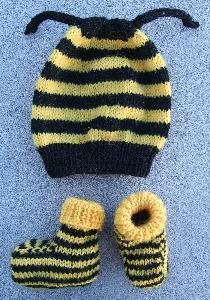 We are happy to make a kit to your colour choices. Price may vary depending on yarn options. 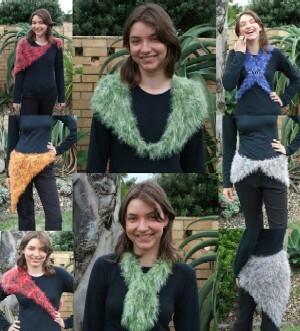 Easy knitting, you can make one in just a couple of evenings. 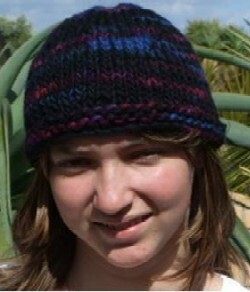 Easy knitting kit, great for a beginner that wants to learn shaping without the stress of a whole garment. Email us to see what colours are currently available, we are happy to make up a kit in the colours of your choice. 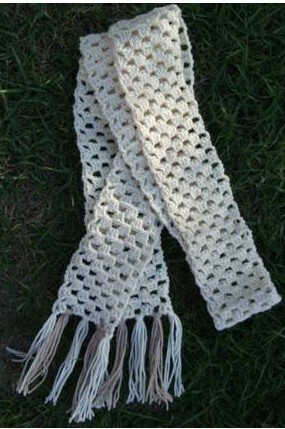 Make a fabulous throw or turn it into a wrap. Email us to see what colours we currently have available, or let us know what you would like & we can make a kit up for you. 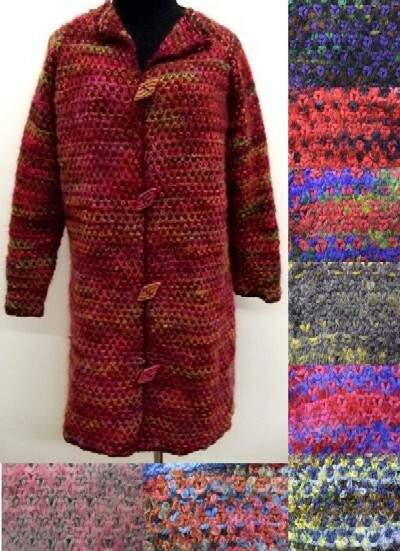 The kit will make to a large size, but it is easy to add some additional yarns if you would like to make it larger, or add some length to the body. 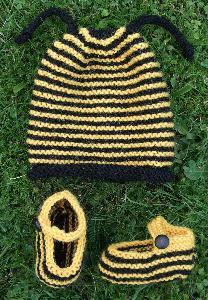 Very easy knitting & quick too. Wear it a different way each day! Email us to see what colours are currently available. Designed to match our granny hat kit. Email us to see what colours we currently have, or suggest your own combo & we can make it up for you. 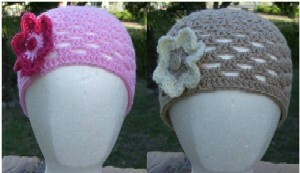 A simple crochet hat with flower kit.